To enrich the community through wildlife conservation and education. The 3rd annual Roar & Pour Wine Fest features a variety of wine tastings from local, national, and international wineries, as well as appetizer and dessert samplings from local vendors. Enjoy live music by Departure and jazz by Jasper Shrake Quartet, also delight in animal/artist collaborations by Amused that will be auctioned off. A limited number of VIP tickets include early entry to a 5:00 pm VIP Reception in Camp Cowabunga, featuring dinner provided by Hy-Vee Catering and exclusive wine. Last year this event was sold out before the day of! General Admission tickets will go up $5 on the day of the event if any are left, so buy early! We are very excited to gain back a lot of space within the zoo this year with the opening of Camp Cowabunga, and we will have a lot more wine stops to reduce lines! Front gate for all ticket entry. Only VIP ticket holders can enter at 5 pm. If a VIP ticket holder has a Designated Driver ticket holder attending with them they may enter at 5 pm only accompanied by the VIP ticket holder. This event is rain or shine and will be fun either way. We will have a back-up rain plan to make it more comfortable for guests! 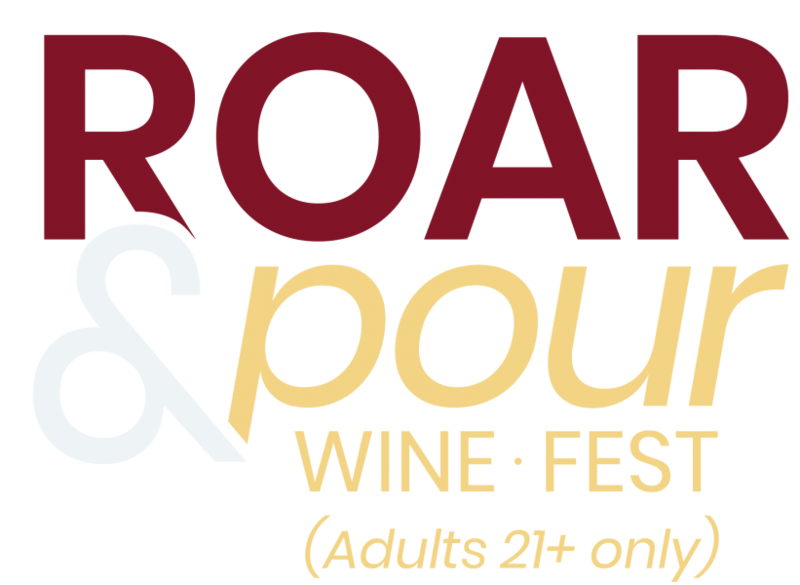 Connect with Roar & Pour Wine Fest! Join the wildest club in town! Friends of the Topeka Zoo (FOTZ) memberships are an affordable way to visit the Topeka Zoo as often as like. Members receive free admission to the Topeka Zoo year-round, as well as free or discounted admission to participating zoos around the country.